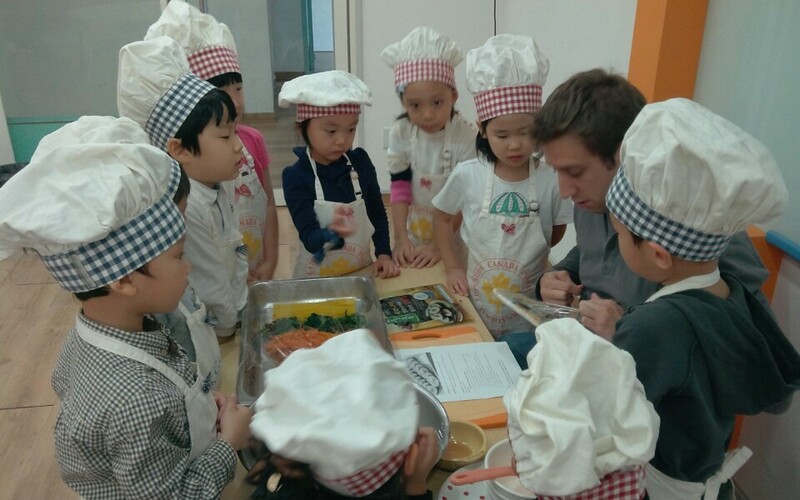 I teach cooking class to these little munchkins 5 times a month. 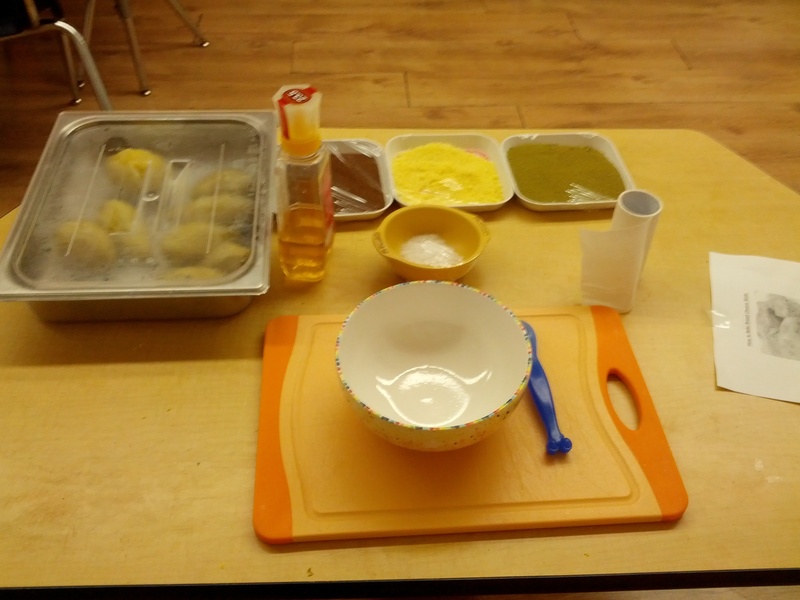 At the beginning of every month I am given a recipe to review and then I work with each of the K6 classes. Before each class I remind them the importance of washing their hands before cooking & eating. Then we don our cooking hats & aprons and dive right in! 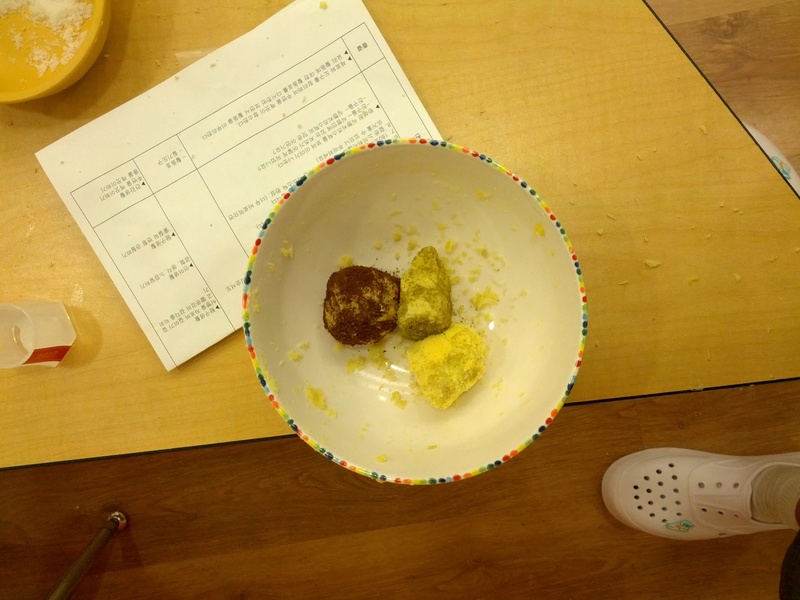 My first month we made “sweet potato balls,” the cafeteria staff prepared the potatoes and a cake crumble topping. We added some honey and a little salt before molding them into different shapes and covering them with green tea, chocolate or vanilla topping. 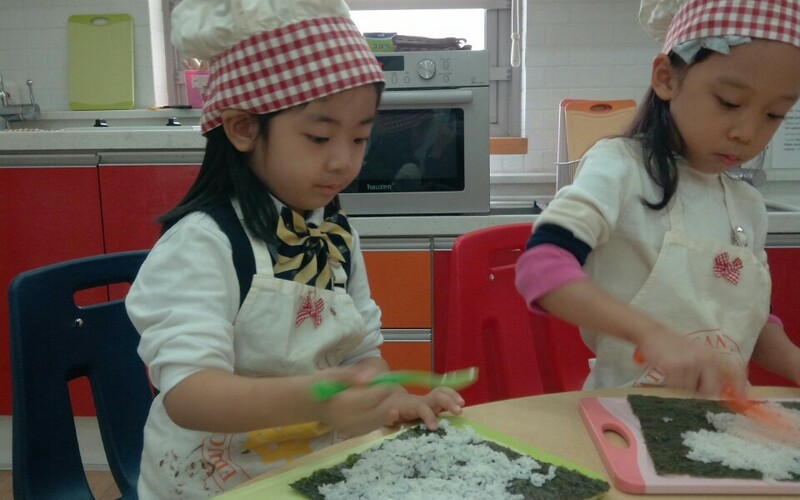 In October I learned how to make gimbap. This was my favorite class so far because it was really useful for me too! 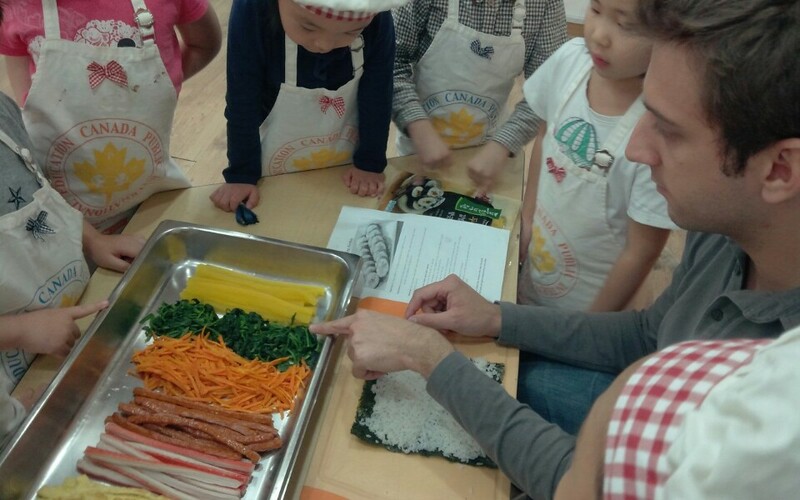 Gimbap is similar to Japanese sushi but with vegetables and cooked meats instead of raw fish. 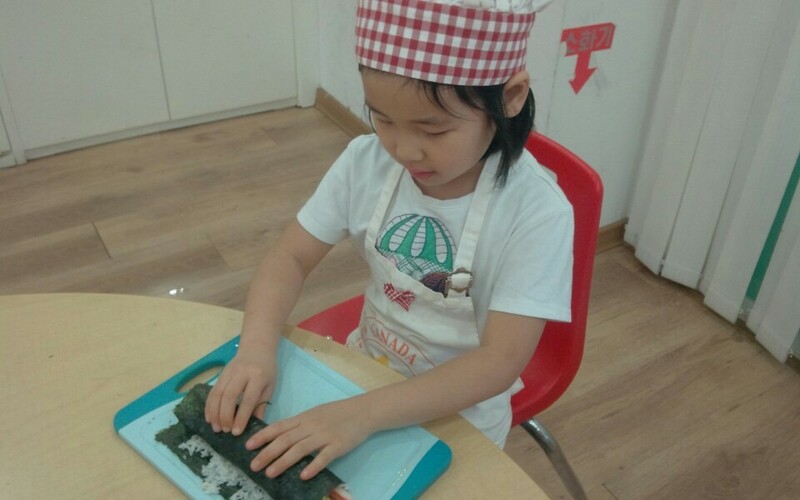 We lay out a sheet of seaweed and cover it in rice before adding a long strip of each filling and rolling it up. This time we used yellow radish, carrots, crab, spinach, ham, & egg. I’ve tried gimbap with everything from tempura pork & shrimp to kimchi and anchovies inside. It was really fun to make and I look forward to experimenting with different versions at my apartment. 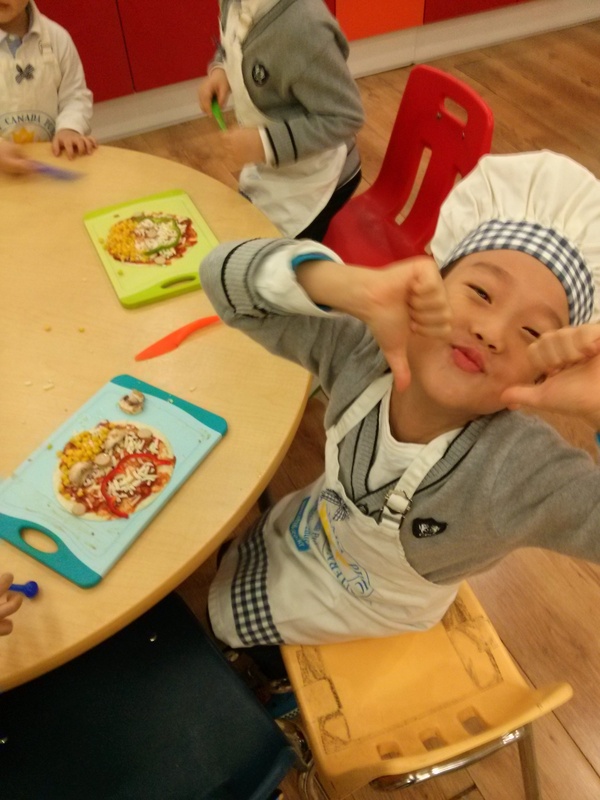 This month we are making “pizza faces!” The kids love it and its the first class where we actually need to “cook” something. They use a tortilla and lay out sauce & cheese before adding toppings to make their face. Most of our faces were happily smiling but I had a few frowns; either way it all tasted great. After we put together our pizza we sent it up to the cafeteria to cook and they get delivered to their classroom for an afternoon snack. Not as good as pizza back home but the kids didn’t mind. In December I’ll be making “potato mountains.” It looks like a pretty hands on dish and I think they’ll have fun decorating each mountain with raisins & broccoli to make trees! 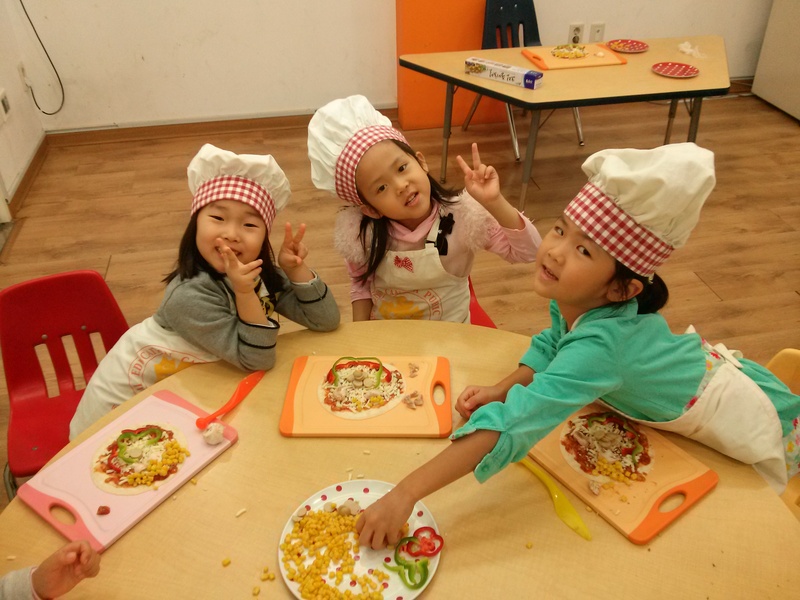 Cooking is a very practical class for these kids. They learn a useful skill and its a great opportunity for them to expand their English vocabulary. I make them practice saying the names for each ingredient and often they try to teach me the Korean name too. 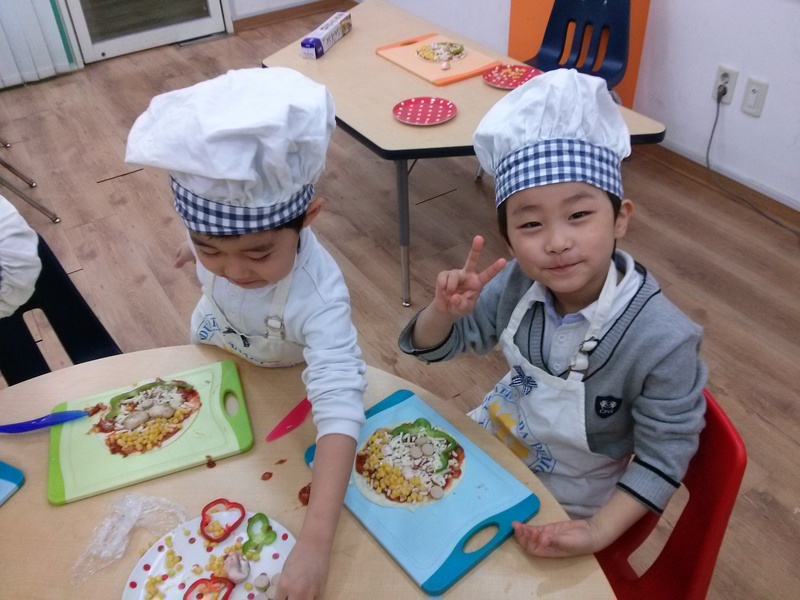 The students always have fun, especially when its a messy recipe! Hi,I log on to your new stuff named “Cooking class at a hogwon | Live, Learn, Travel, Teach” like every week. Your humoristic style is awesome, keep doing what you`re doing! And you can check my website about 李宗瑞影片. Thanks for your support! Glad you’re enjoying reading my blog. I’ll keep writing as long as you keep reading!